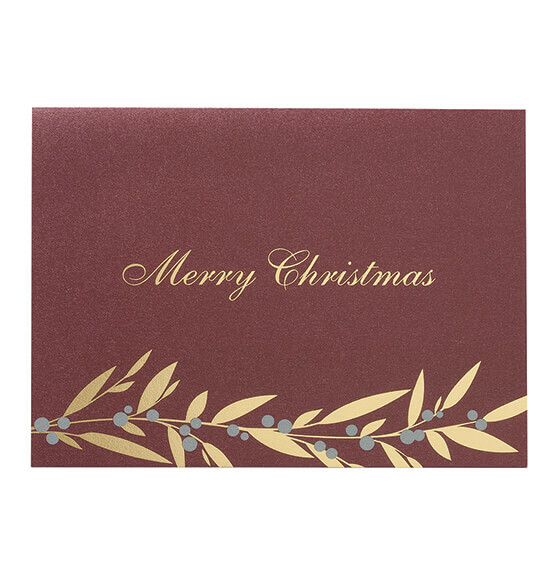 A simple yet beautifully festive design, this Christmas Berries holiday card will stand out from the rest. The design and lettering is embossed in silver and gold foil, for a shiny, elegant effect against the burgundy-merlot background. Our exclusive Christmas cards are the perfect way to stay in touch and share a special moment with family and friends during the holiday season. 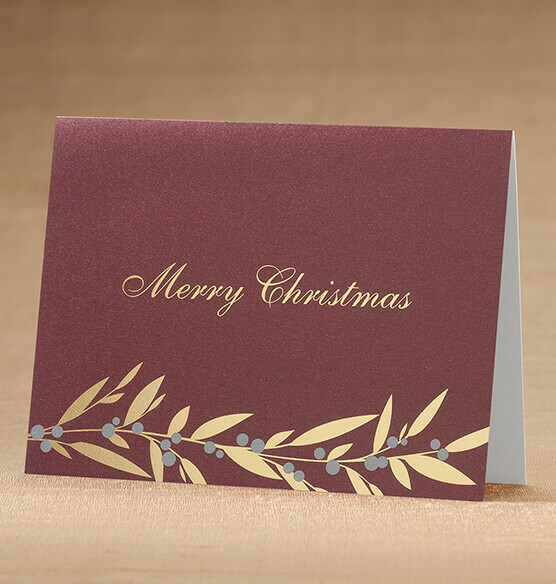 Elegant & quality cardstock. Beautiful colors and sentiment.